Tamarind : Tamarind is more commonly known as Tamarind or imli, Tamarind is a rich source of vitamins, fiber, potassium, magnesium and other nutrients necessary or good health. 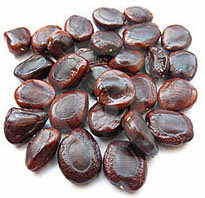 Tamarind Seeds : Roasted tamarind seeds are a popular snack amongst the rural population. The powder made from tamarind Seed has been adopted by the Indian textile industry as 300% more efficient and more economical than corn starch. Tamarind On Trees : Tamarind on trees, Botanically, it’s among the large tropical trees belonging to the family of Fabaceae, of the genus: Tamarindus. Its sweet sour taste really makes it irresistible. Tamarind leaves are also eatable. Soapnut : SOAPNUTS Commonly Known as ARITHA - REETHA - SHIKAKAI in INDIA. 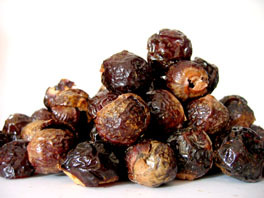 Soapnuts are 100% natural and contain no chemical additives. Botanically, the tree is among the large tropical trees belonging to the family of Fabaceae, of the genus: Tamarindus. Scientific name: Tamarindus indica. 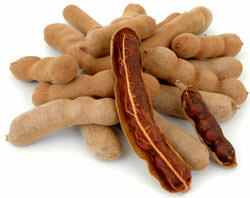 Tamarind is more commonly known as Tamarind or imli. Its mere name is enough to tingle your taste buds. Tamarinds find their ways into almost all savories and snacks in India found in every Asian kitchen. Its sweet sour taste really makes it irresistible. 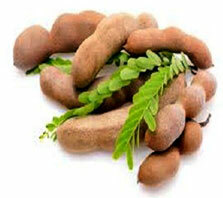 The pulp of the tamarind has a very sour taste while it is young, but as it ripens the pulp gets sweeter. Though the pulp will sweeten with age, the tamarind generally has a sour, acidic taste. The powder made from tamarind kernels has been adopted by the Indian textile industry as 300% more efficient and more economical than cornstarch for sizing and finishing cotton, jute and spun viscose, as well as having other technical advantages. It is commonly used for dressing homemade blankets. Other industrial uses include employment in color printing of textiles, paper sizing, leather treating, the manufacture of a structural plastic, a glue for wood, a stabilizer in bricks It is also exported to different countries. Tamarind seeds have been used in a limited way as emergency food. They are roasted, soaked to remove the seed coat, then boiled or fried, or ground to a flour or starch. Roasted seeds are ground and used as a substitute for, or adulterant of, coffee. Tamarind seeds are also used in industries for preparing g starch, also for cosmetic, indigestion, owe munity, antibacterial, diabetes and skin health. Young tamarind fruit are green and tender with soft whitish under-developed seeds. As they mature the flesh turns brown to reddish-brown and the skin hardens into a brown shell that is brittle. Mature fruit look like a beanlike pod; the pod has bulged areas and a slight curve. Inside is a soft pulp around hard seeds. A few strands of fiber extend from the stalk around the pulp covered seeds. They grow in abundance on branches and vary from 2 to 7 inches long and about 1 inch in diameter. Copy 2013, all rights reserved.